Behavioral health supports for high-risk families may get a real boost this legislative session. 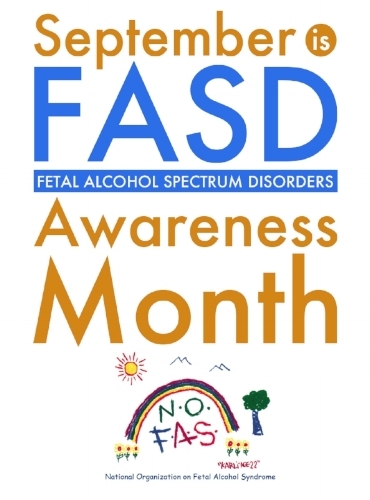 Services and policies that help strengthen families, prevent abuse and neglect, aid caregivers struggling with adversity, and promote positive interactions within families and caregivers help kids develop their potential. After months of advocacy work, numerous agencies and advocates showed up on Friday to testify in support of the HB19-1193 bill and the result was an unanimous vote in favor of behavioral health supports for high risk families in the House Public Health Care & Human Services! The holidays are upon us which for many means spending time with family and friends, and enjoying the season together. This time of year presents a great opportunity for us as adults to take a few extra steps to ensure our children are as safe as possible. Statistics show that about 90% of all children who are sexually abused, are abused by someone the family and child knows and trusts. Given this statistic, it is important that we take a few simple steps to create safe environments – namely safety in numbers and respecting children’s boundaries. The encouraging news is these steps are non-confrontational and can be implemented by various caregivers. During a holiday gathering, two cousins with a significant age difference go to watch a movie together in the basement. How might you minimize the opportunity that something could go wrong? Safety in numbers. Are there other cousins that could watch the movie with them? Could they watch in a more visible/accessible location? Can someone pop in every once in a while to make sure they don’t need anything? Over winter break, your child’s music/sports coach offers additional private lessons. How might you minimize the opportunity that something could go wrong? Safety in numbers. Are there other students that could practice with them? Are they practicing in a visible/accessible location? Can someone pop in every once in a while to make sure they don’t need anything? We want children to have healthy and affirming relationships with the adults in their lives, but when we have situations where adults and children or significant age difference children are secluded one on one, the risk for abuse increases. Simple ways to ensure we are creating a safe environment is to set the standard that children will not be alone with an adult or a much older child/youth. Maybe ask for another adult or a few children to tag along. Another solution is to ensure one on one time is observable. Keep in mind, it’s not about accusing anyone of potentially harming your child, but rather eliminating the opportunity for something to happen. During a holiday gathering, great aunt Sally asks for a kiss from your young child. Your child hesitates and hides behind your leg. How might you handle the situation? Respect children’s boundaries. Can you ask if he/she would give a high five instead? Can you suggest that maybe he/she will warm up later? Can you comment on your child’s development – he/she is going through a shy phase lately? Over winter break, your child and their friend are having a tickle “fight”. They are laughing and having fun, but then the friend says, “Stop!” and your child continues to tickle. How might you handle the situation? Respect children’s boundaries. Can you remind your child to listen to their friend’s words? Can you teach your child to recognize the change in facial expressions or body language? Can you redirect the children to another activity and revisit later with your child? Most of the time, adults/children who cross boundaries may not realize they are doing it. A great example is when a child clearly states, in either words or actions, they are not comfortable with something and we essentially force the child to do it anyway - ignoring the fact that the child has set a boundary and we have stepped completely over it. This sends a very mixed message to children about their bodies. It’s confusing for a child who doesn’t want to have physical contact with someone, for any reason, to have other trusted adults invalidate their feelings and force that contact. Conversations around respecting boundaries are really about consent. When we hear someone say things like “No” or “Stop” we need to honor that request. Even if a few moments ago they may have been laughing as well. Use these moments as catalysts for conversations about how we recognize someone is not ok with what is going on. Did they stop laughing? Was there a change in their facial expression? How can they recognize there has been a shift in their level of comfort? Having open and direct conversations about boundaries with their own bodies and the boundaries of others, and giving children language and skills to manage situations in a respectful and healthy way, is a building a protective factor that will serve them now and beyond. This is a special time of year for many. Taking a few extra steps can go a long way in creating safe environments for children and youth. Enjoy your holidays, have an extra cookie, play with your kids and celebrate the love of family and friends. Happy Holidays from the staff at Illuminate Colorado. Nationally, the opioid epidemic has been declared a public health emergency and communities and families across Colorado are feeling the effects of this crisis, as well as the effects of other substances being used and misused across our state. As attention and resources are devoted to responding to this epidemic, it is critical that the impact on children remains high priority. There is no single solution to reducing the impact on children of caregiver substance use, and when we view this as not only a public health issue but also a multigenerational one, we know our strategies need to be as multifaceted as the issue. 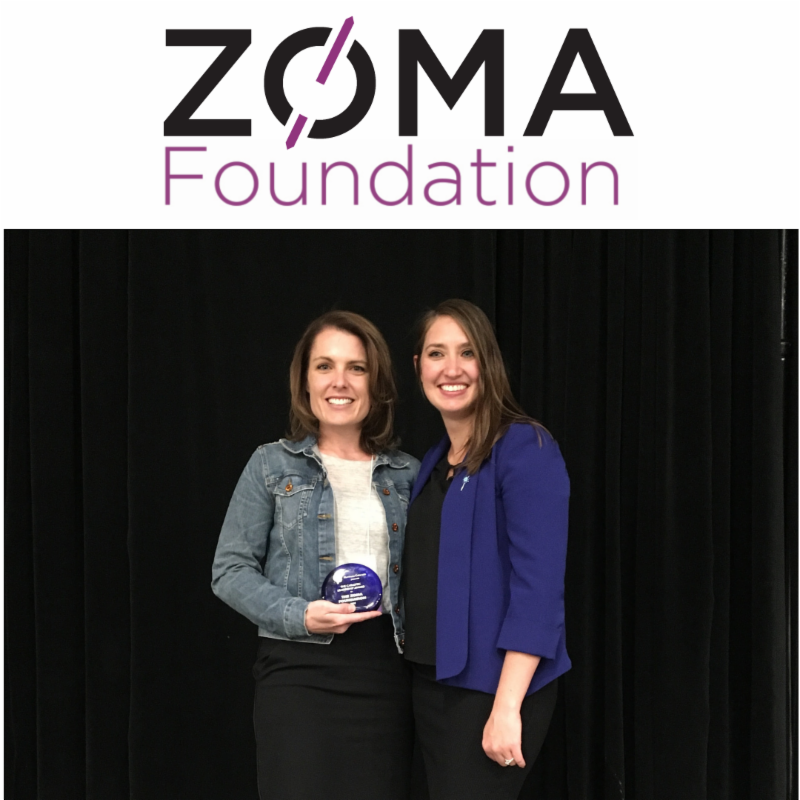 In the fall of 2017, Illuminate Colorado, with the support of the ZOMA Foundation, began a project focused on this very issue of preventing child maltreatment and improving outcomes for children affected by caregiver substance use. Illuminate engaged statewide leaders in the development of recommendations and strategies for policy and practice. The recommendations are intended to serve as a research-based framework for substantial, actionable change to better meet the needs of children impacted by caregiver substance use. They provide a starting point for multi-sector partners as they develop goals, objectives, and activities to prevent harm and improve outcomes for children. To read the recommendations overview and the full report, visit illuminatecolorado.org/iccsu. Implementation planning for the recommendations is now underway to learn more or get involved, email info@illuminatecolorado.org. 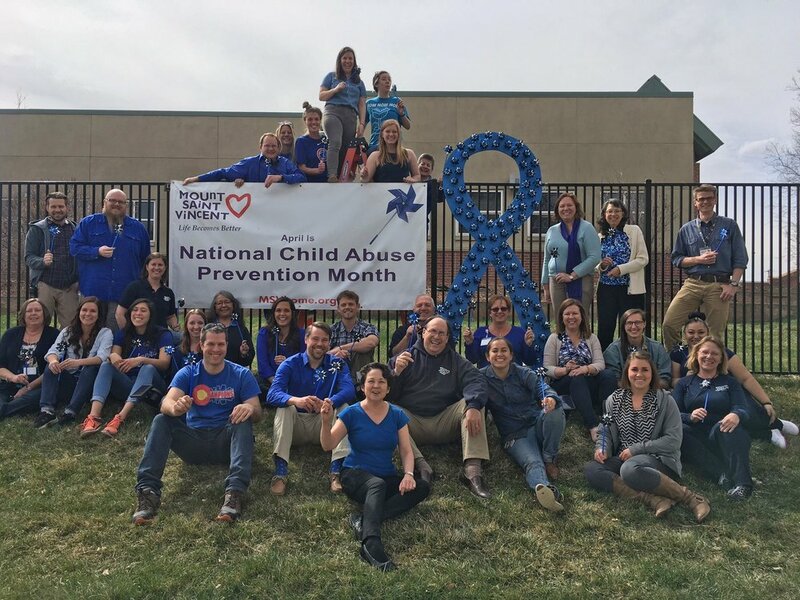 Broomfield Early Childhood Council (BECC) has been participating with Child Abuse Prevention Month since April of 2011. It started with a single pinwheel garden in the Mamie Doud Eisenhower Public Library, today it stretches across the community! 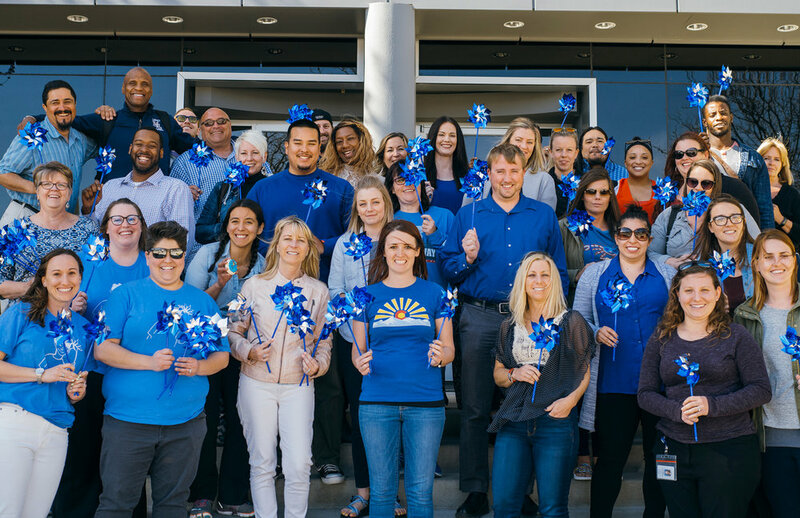 BECC provides pinwheels to all licensed child care centers, as well as all partner agencies, including doctor offices, mental health providers, health and human services departments, police departments, local food bank, and nonprofit service providers. "These activities connect us to our community to reinforce our common mission: support families through difficult times and to keep children safe. 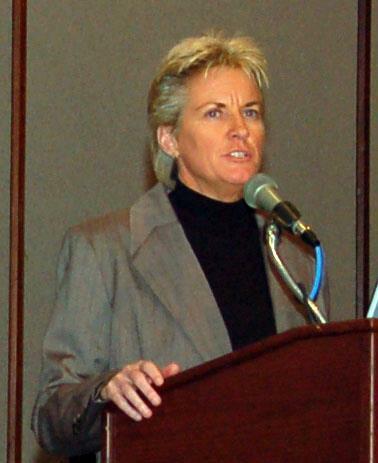 Often, the day to day operations get overwhelming and these activities help us to reconnect and remember the importance of the message – providing support and resources to families that will lift them up and prevent child maltreatment" said Jessica Jones, Director of the Broomfield Early Childhood Council. Prevention is the key to solving so many problems, this month helps us get this message out that we can stop child abuse and maltreatment before it starts! Family support, for all families, gets lost because we are trying to catch up to problems already manifested. Supporting the family with the Five Protective Factors will address key needs that families don’t even realize they need. 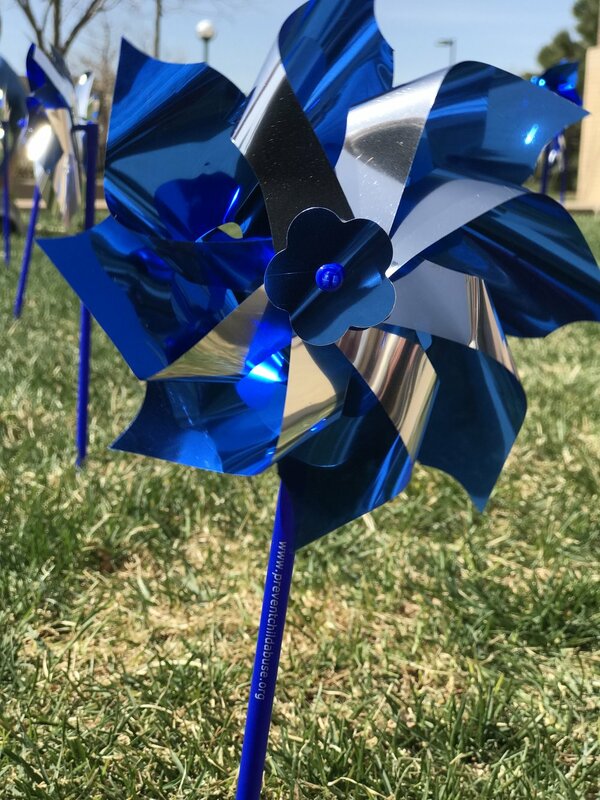 The symbol of the pinwheel is a brilliant reminder for the community to remember the family structure, and remember that we need an entire community to support healthy, thriving children! Illuminate Colorado staff & Kappa Delta members at the ShamRock 'n Roll - April 2017. Illuminate Colorado has been partnering with the Kappa Delta at Colorado State University (CSU) sorority since our strategic partnership was fully formed in 2016. The national Kappa Delta organization has over 250,000 members worldwide, and values community service, leadership, and responsible citizenship. Their official philanthropies are Girl Scouts of the USA and Prevent Child Abuse America, and the Kappa Delta women at CSU work to support impactful organizations by volunteering to raise funds and engaging with the Girl Scouts of Colorado. As the Colorado chapter of Prevent Child Abuse America, Illuminate has the opportunity to partner with Kappa Delta at CSU to support children and families across our state. Every year, the Kappa Deltas at CSU plan two annual fundraising events: ShamRock ‘n Roll in the spring and Fall for KayDee in the fall. These events are designed to include their fellow Greek organizations on campus, as well as the university in general, in their philanthropic work. They raise funds by selling tickets and organizing raffles and other activities, and engage their fellow students by integrating an educational or interactive component to their events. For example, at their ShamRock ‘n Roll event in March 2018, they provided attendees with the opportunity to sign a pledge to end child abuse and neglect! Kappa Delta members & event guests pledge to end child maltreatment - March 2018. Additionally, Illuminate Colorado recently held an educational workshop with the Kappa Deltas called ‘Brains, Balloons, & Kindness’. This workshop is a fun, interactive way to illustrate the impact that child maltreatment prevention efforts can have on children and families, and how that impact connects to larger public health issues. Illuminate is looking to hold more of these collaborative educational events at CSU in the future to support the Kappa Deltas in their philanthropy and outreach efforts. We are continually inspired by the energy and dedication of the Kappa Delta women in advocating for children, and their emphasis on community service and giving back. 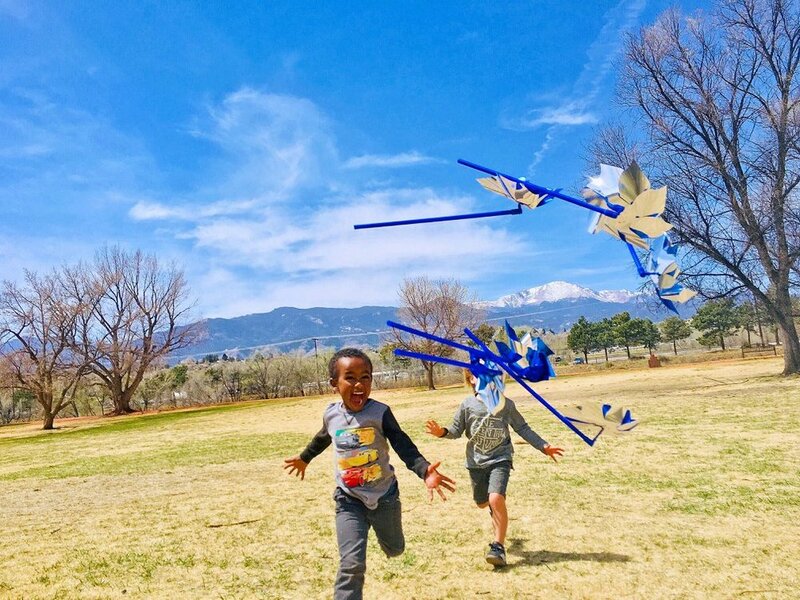 We are grateful that so many future leaders are active in strengthening families in Colorado, and look forward to collaborating for years to come! February is Parent Leadership Month, a time focused on honoring parents for their leadership roles both at home and in their communities. 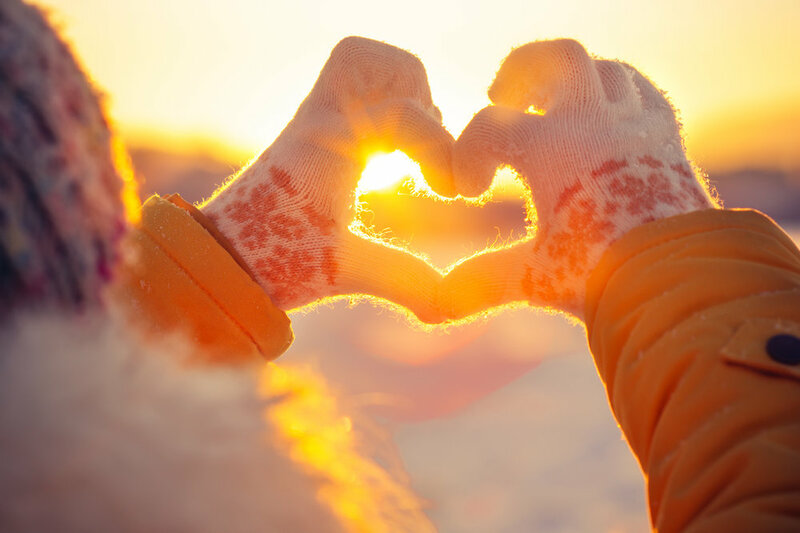 In our mission to build stronger families, Illuminate Colorado has embraced parent leadership as a key aspect of our Circle of Parents Program by supporting a dedicated Parent Leader as well as a certified facilitator in every group. In honor of Parent Leadership Month, we sat down with our Circle of Parents “2018 Parent Leader of the Year”, Jon. The Parent Leader of the Year is recognized for their outstanding leadership skills and dedication in their role of supporting group activities and guiding group discussion. Jon has been part of a Circle of Parents group for almost two years, and said that he wasn’t expecting to be in a leadership role—but he’s glad that’s where he ended up. Pictured: Jon, Illuminate Colorado's 2018 Parent Leader of the Year, with his kids. Parent Leadership Month emphasizes being a role model for other parents, participating in community events or groups, and providing a parent “voice” or parent perspective in their community. Regardless of the form that parent leadership takes, empowering parents through peer support is an effective way to strengthen families. When parents are empowered, they are building resilience, deeply engaging in their roles as parents, and setting a powerful example for kids. “I think [parent leadership] is important first and foremost for our youth to see strong parent leaders. My daughter’s a little older, and she didn’t get to see that when I was younger due to my addiction, but now that she sees it I hope it translates into lessons for her,” said Jon. 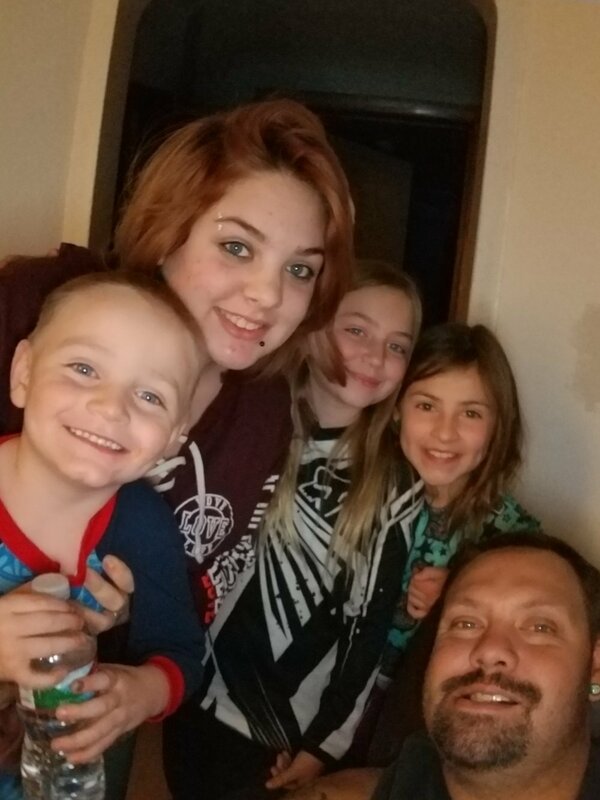 Though unexpected, Jon notes that his leadership role has been especially rewarding in that he gets to help others who are also parenting in recovery, which comes with unique challenges. In addition to his participation with Circle of Parents, Jon has found an opportunity to take his parent leadership one step further by participating in training with the Family Leadership Training Institute (FLTI) of Colorado. The Family Leadership Training Institute is a program that equips families with knowledge and skills to support their engagement with systems at the individual, community, and policy level. Participants complete a 20-week training that integrates personal and child development, leadership skill development, civic literacy, and civic engagement. When asked what he would say to other parents interested in growing their leadership skills, he noted the importance of surrounding yourself with others who share similar goals. Over the past few weeks, multiple incidents of adult misconduct against children have appeared in the media. It is these types of situations that bring attention to an issue that is all too pervasive in our communities. § Create environments that support healthy development in children – normalize conversations with children about empathy, anatomy, development, healthy relationships, and boundary setting. § It is our responsibility to recognize situations that feel uncomfortable and articulate our concerns. If something feels off, try to put words to what feels off and why. Oftentimes, we overthink a situation and talk ourselves out of doing something. § Respond to boundary violations or other situations that make you feel uncomfortable. Describe the behavior, set a limit, and move on. It is not about confrontations or accusations, but merely letting other adults know that our children are surrounded by caring and aware adults who will step in the gap to protect children and prevent abuse. § Remember, if you suspect child abuse or neglect, call 1-844-CO-4KIDS to report your concerns. § Check to see if the youth serving organizations in your area – including schools, churches, recreation centers, sports leagues, summer/day camps, child care facilities, etc – have policies to prevent child abuse. Be aware and involved in advocating for safe spaces for children in our communities. If an organization does not have policies in place, they can contact Illuminate for more information. Children and youth are not in a position, nor should they be, to prevent abuse, and we must be their voice. When we can put aside our own uneasiness, get support from those around us, and stand up for children and youth, we can make a difference. Want to better recognize boundary violations and build skills to protect children? Learn more at https://www.illuminatecolorado.org/trainings-technical-assistance/.